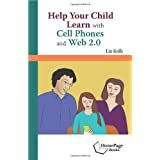 Overwhelmingly parents viewed smartphones as having many potential learning benefits including the following; promoting curiosity, teaching science, teaching problem solving, teaching math, teaching world languages, fostering creativity and teaching reading. 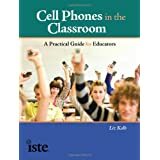 In schools where cell phones were permitted and used for learning, the parents were more positive about cell phones as learning tools compared to those parents whose kids were in schools that did not allow cell phones on campus. 71% of parents want mobile technology used in learning. 64% of parents believe schools should teach students how to use devices safely (despite the fact that 45% of parents purchase mobile devices for their children prior to the school recommending it). Yet, 69% of parents see mobile apps and software as more of an entertainment "add" on for learning, rather than tools to achieve and expand learning goals. 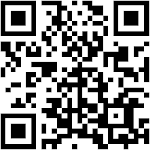 Like many educators, parents need help understanding how a mobile device can enhance and extend learning goals. This is a cool post where you calculate average percentage of smartphone ownership and which technology we want in a smartphone. I think that the use of cell phones threats to the customers. We very often notice people who have died or had been hurt in automobile accidents because they had been making use of their mobile phones whilst they have been driving a car. I think cell phones were allowed and utilized for taking in, the folks were more positive about phones as taking in instruments contrasted with those folks whose children were in schools that completed not permit cells on yard. I think almost 68 to 70% of folks need versatile engineering utilized as a part of taking in. Thanks for sharing. Those statistics are shocking. When I was in school cell phones just started to come out and only a few people had them. I can't believe students form K-5th grade have them. What do they need a cell phone for? It is very encouraging to see the statistics that parents want mobile technology used in the classroom. I agree that a lot of parents still view the use of smartphones as "entertainment" rather that a valid learning tool. 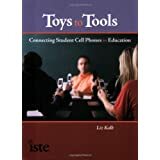 I have experienced great enthusiasm from the students when using mobile technology and it has broken down a lot of barriers in the classroom and encouraged students to collaborate. They are a lot more motivated about assignments and communicate easily with each other even when absent. It has made the world a much smaller place and they are exposed to a diverse range of knowledge at the touch of a fingertip. Parents and teachers need to move on and accept that the integration of smartphones in the classroom can only increase academic success. It was reassuring to read that the parents who had experienced their children using mobile technology in school had a more positive attitude than the parents who did not have this personal experience. After the use of mobile technology has been introduced in the school, the parents can see the positive outcomes- and how they outweigh any disadvantages. As Helen says, the use of mobile technology makes the world a smaller place, and in my opinion, this makes education a much richer experience for all involved. 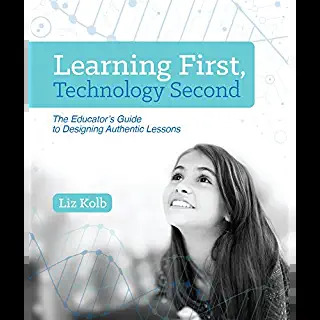 Having read Liz Kolbe's blog post about smartphones in education It is very encouraging to read that parents are thinking positively about incorporating smartphones into their child's education. The fact that those whose children have already have experience of using smartphones in the classroom are more positive than those without is interesting - this implies that there despite there being an overall positive attitude towards smartphones in schools there is also some reluctance to engage, however this would be an issue that many schools would encounter when introducing new policies or technologies anyway. I think it is very important to mention that there should be some responsibility on the school to teach students how to use their devices safely and efficiently. I think that this may a one of the obstacles that stands in the way of schools completely embracing smartphones in class. The point that is made by one of the commenters is also valid, we need to be aware that smartphones are not toys and care needs to be taken about the appropriate age for smartphone ownership/usage. Tablets in class may be a gateway to smartphones to allow confidence and skills to be established before bringing smartphones into the classroom. Given the number of children under the age of twelve who already possess a smartphone, there is an urgency to equip children with the necessary skills to explore mobile technology in a safe and responsible manner. The classroom offers a safe and structured platform for this to take place.